Every traveler has a story. They leave a unique footprint everywhere they go. Collectively, their story becomes a part of our story. 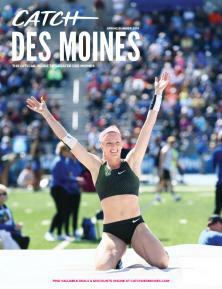 At Catch Des Moines (Greater Des Moines Convention and Visitors Bureau and Des Moines Area Sports Commission), our job is to help craft that narrative the drives visitors to Greater Des Moines. And we’re writing a new chapter every day. Our setting speaks for itself (although it’s our job to shout about it). Our themes are those of economic impact, civic pride, city prestige, quality of life and jobs. Our adversary is outdated perceptions. The way we deal with that challenge is through creativity and authenticity. The moral of the story? 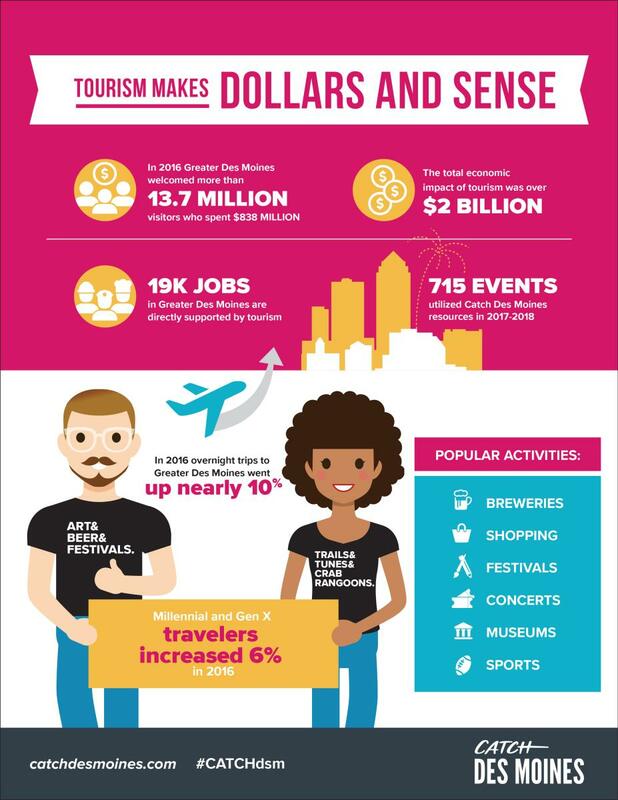 Tourism matters, no matter what role you play. Leisure traveler marketing – Employing a strategic and targeted marketing plan, we aim to challenge perceptions and inspire travel using unique creative that elevate our communities and highlights authentic experiences. Conventions, sports and services – From global and national events like the Solheim Cup and NCAA Tournament to regional and statewide conventions and conferences, we tell our story around the country in order to book the events, big or small, that put Greater Des Moines on the map and drive economic impact. 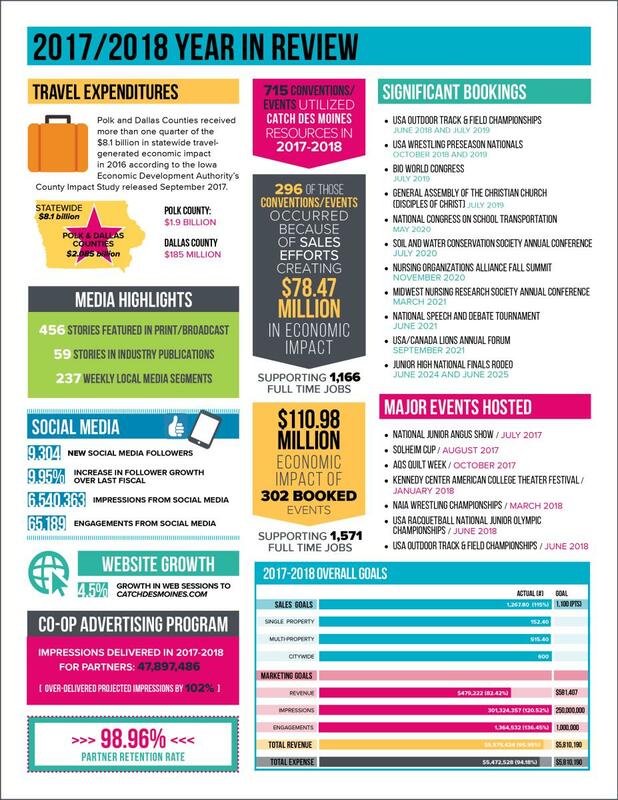 Partner opportunities – We provide our nearly 600 partners with economical advertising and promotional opportunities across a variety of mediums and geographies that help elevate both their business and our region. Every story needs a hero to help bring about change. There are many ways that you can contribute and help elevate the community that you love.